Before the acquirer enters into a contractual commitment to buy any assets and/or shares of a target company, the acquirer needs to have an insight into what it is planning to buy and what actual, potential and contingent liabilities it is assuming. Reasonable verifications and precautions should be taken to identify target company’s legal, commercial and financial status, the target company’s obligations, the effect of a change in ownership of the company on its substantial contracts, litigations, potential risks, assets and intellectual property issues, relations with customers and stakeholders. The process by which detailed information about the target is obtained and assessed is called due diligence. Due diligence is an essential activity in mergers and acquisitions transactions and it is mainly of three types; legal, financial and commercial. Therefore, the investigation of the target may be conducted by different professional advisers, including business advisers, accountants and lawyers. Financial due diligence is the process of determining whether the transaction creates financial value for the acquirer, whereas, the commercial due diligence determines the target’s current and projected performance and whether the business plan stands up to the realities and competitiveness of the market. This paper will shed light on the legal due diligence, its objectives and a sample checklist. Legal due diligence is intended to be carried out to evaluate any legal issues that may affect the value of the target company. Such an exercise is also required to identify any prerequisites and conditions that must be fulfilled to achieve successful completion of the transaction, or consents and approvals that may be required to duly transfer ownership of the shares or assets of the target business. It is also vital for the determination of the method of payment, negotiating the needed securities and highlighting the main areas of risk and how such risks may be mitigated by agreeing on proper risk allocation mechanisms including adequate representations, warranties and indemnities. 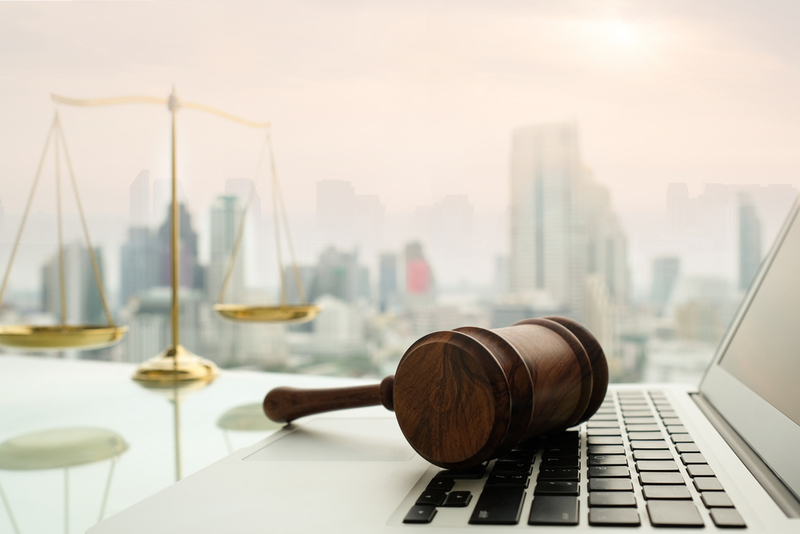 The legal due diligence process starts with the acquirer’s due diligence checklist and request for the disclosure documents of the seller subject to confidentiality restrictions. The scope of the investigation varies according to the type of the proposed acquisition as it will usually be more extensive on the acquisition of the entire share capital of a company than on an asset acquisition. First of all, the acquirer should know the incorporation framework of the target company. Therefore,the acquirer’s lawyers should study among other things the articles and memorandum of association of the target company, all general assembly and board of directors’ meetings, names of authorised signatories and the authority and capacity of each, shareholders register and list of all current shareholders showing amounts of shares by percentage owned by each, all shareholders' agreements, voting trusts, proxies and registration rights agreements. The acquirer’s lawyers will need to obtain full details of the target’s workforce, and in particular the contractual terms that apply to its management team. The terms of employment should be checked in addition to all severance agreements, pension and profit sharing plans in which employees participate, including any such plans which have been previously terminated but the assets of which have not been completely distributed to plan participants, all incentive and non-incentive stock option plans adopted for the benefit of employees, all welfare benefits plans (e.g., medical, dental, life insurance, accidental death and dismemberment) which were adopted for the benefit of employees, all governmental filings relating to the documents described above including related to employees’ handbook or bylaws. Copies of all lawyers' audit responses and summaries of all presently pending or threatened claims, actions, suits, injunctions, legal proceedings, arbitrations, amicable settlements, or any other legal or administrative proceedings by or against the target company, including, without limitation, employment or labour claims (e.g., grievances, administrative charges, wage and hour claims, workplace safety matters, civil litigation, unfair dismissal, unfair competition and workers’ compensation) should be carefully examined. A target company should provide the acquirer a list of all tangible assets which are owned by the seller; such as real properties also rented or leased properties including all the relevant information and contracts regarding the assets, all the documentation regarding intangible assets; for instance, patents, trademarks, copyrights, trade names, franchises, licenses, and other intangibles. The acquirer needs to ensure that the assets of the target company have the value as stated, no restrictions are being imposed on the rights of the target company on these assets and there are no risks that may depreciate the value of the assets. The significant contracts into which the target has entered should be examined in order to (i) verify the obligations and the rights of the target company that will flow down to the acquirerand that there are no non-arm’s length trading relationships; (ii) investigate the chances to renew the contracts that are due to expire; (iii) figure out the effect of change of control on such contracts and the requirements that need to be satisfied to avoid any potential termination; and (v) investigate the assignment or novation of contracts on an asset acquisition. On an asset acquisition, the acquirer will need to enquire whether any of the assets which are being transferred are the subject of a charge to decide whether any such charge will have to be removed on completion, or the consent of the chargee needs to be obtained for the asset to be transferred. On a share acquisition, the acquirer should request copies of all loan or lien documents, including notes, trust deeds and mortgages, security and finance agreements and financing statements in order to discern the nature and extent of the target’s borrowing commitments and obligations. Yousef S. Khalilieh has extensive experience in commercial transactions and bidding processes for outsourcing, construction, distribution, licensing, and agency arrangements. He advises clients across a range of industry sectors, including on privatisation projects and corporate transactions, government-related projects, aviation, mergers and acquisitions, general civil and commercial practice specialising mainly in corporate laws and contracts, construction contracts, telecommunications, media, e-commerce, international trade, foreign investment, franchise and distributorship, intellectual property and technology transfer and litigation. Khalilieh also specialises in intellectual property law matters such as computer law and international comparative copyright law. Arwa T. Al Azzeh is a high-level associate in the corporate department. She has specialist experience in, and knowledge of corporate and commercial law, intellectual property and litigation. In her position, she has been involved in may large projects with work related to drafting or reviewing portal agreements, cash transfer agreements and content syndication agreements. Moreover, being a part of the corporate department of Rajai K. W. Dajani & Associates, her experience has been enriched by focusing on corporate issues, government-related projects, mergers and acquisitions, construction contracts, telecommunications, e-commerce, international trade, foreign investment, franchise and distributorship.